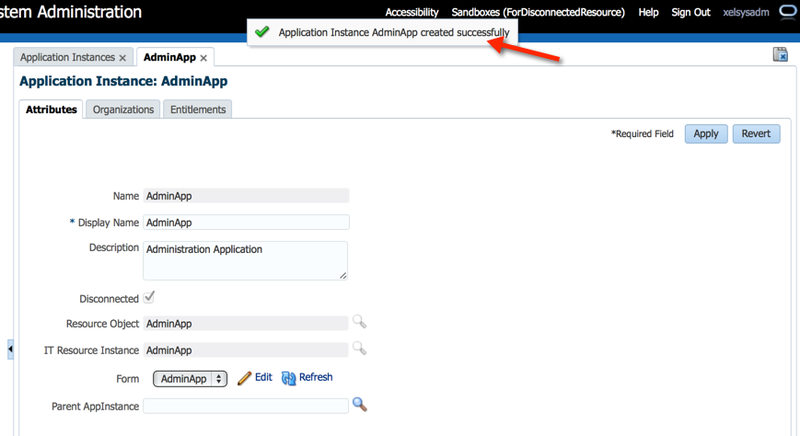 - Name Sandbox and click on "Save and Close"
-- Check Sandbox status as "Active"
- Enter Disconnected Resource Name and select Disconnected Check Box and click on "Save"
- Notice message "Application Instance AdminApp created successfully" on top. 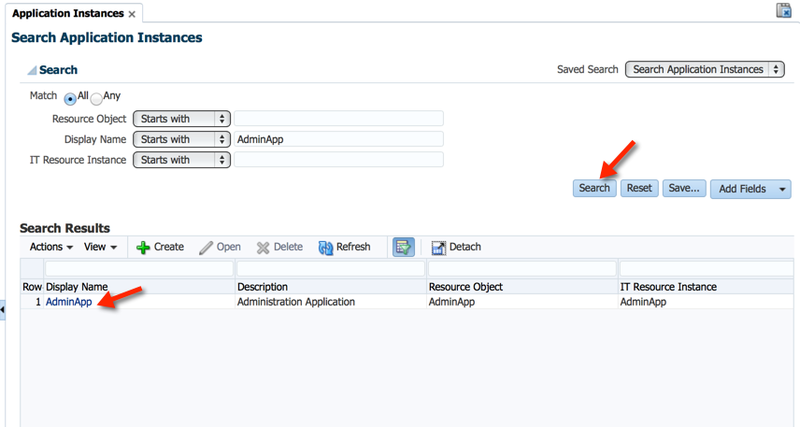 - Search if the Application instance created or not. 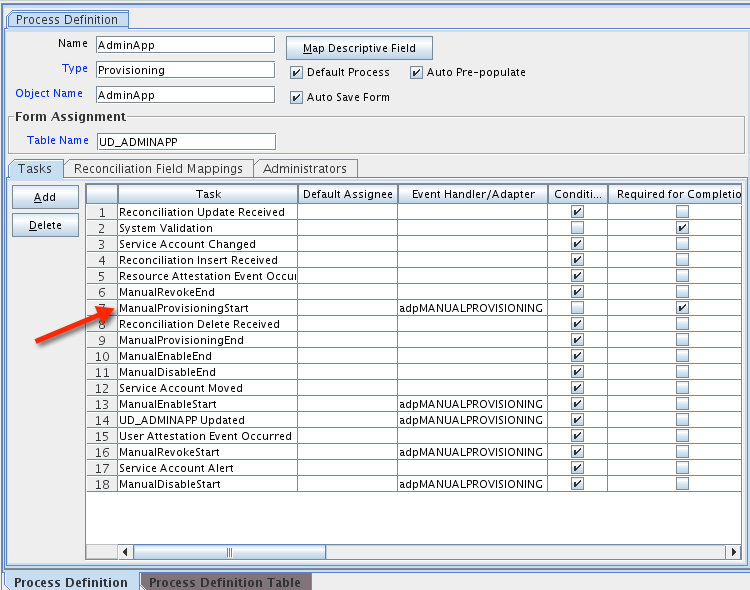 - As we are dealing with "Disconnected Resource" below change in "Process Definition" needed. 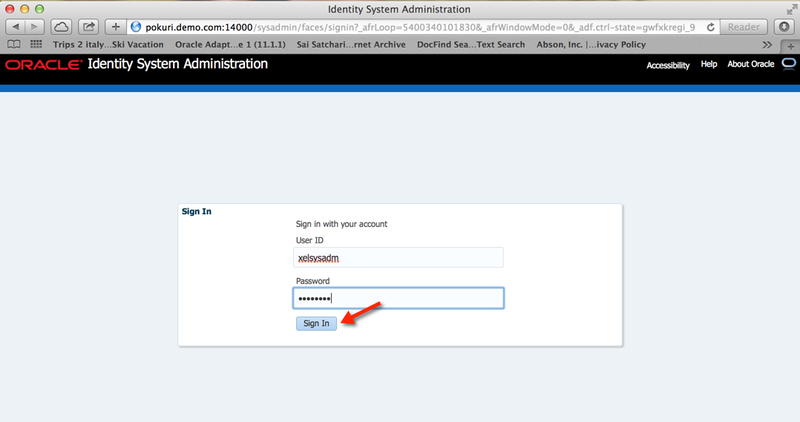 - Login to OIM Design Console with "XELSYSADM" account and double click on "Process Definition"
- Click on "Search" icon as shown in the below screen shot. 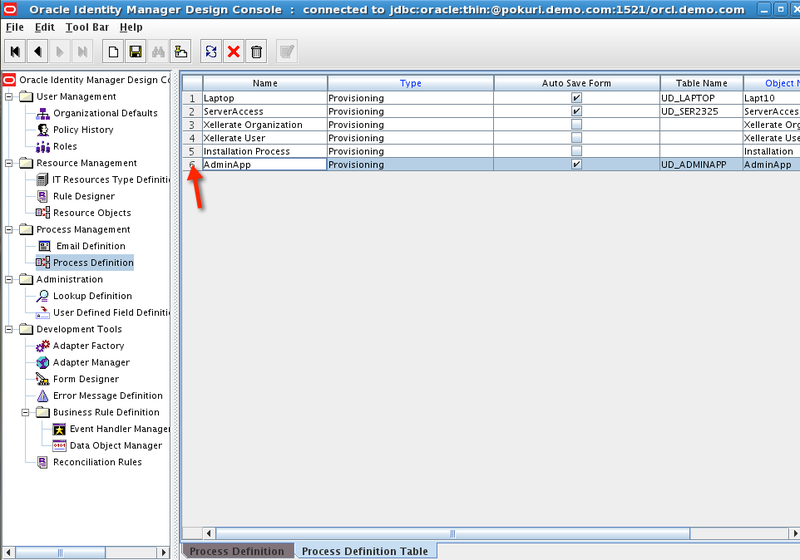 - Click on "Process Definition Table" tab at the bottom. 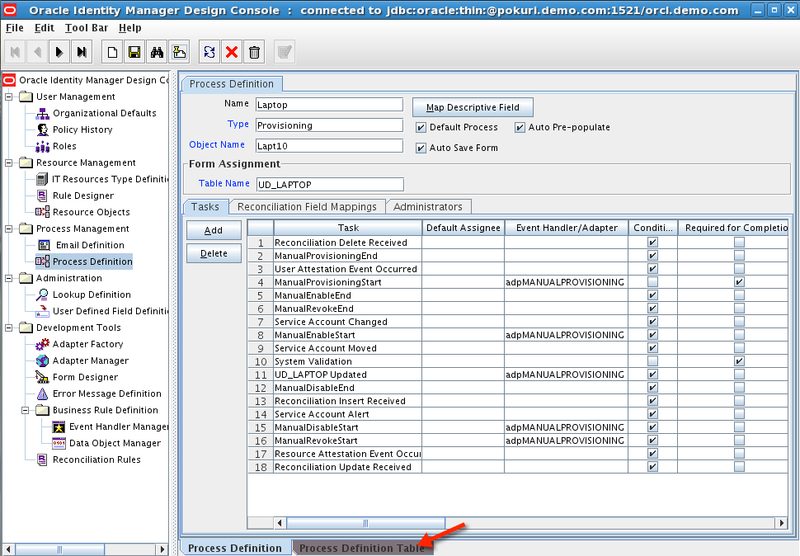 - Select the Disconnected application entry and double click on sequence number associated to it. 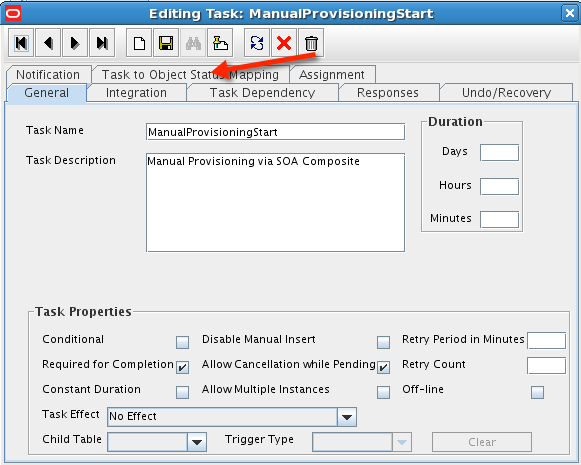 - Double click on "ManualProvisioningStart" Task. 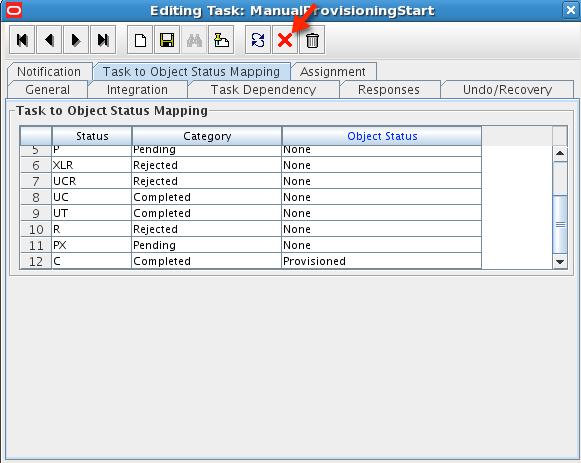 - Click on "Task to Object Status Mapping" tab as shown in the below screen shot. - Select status "C" row and double click in "Object Status" column which opens another pop up window. 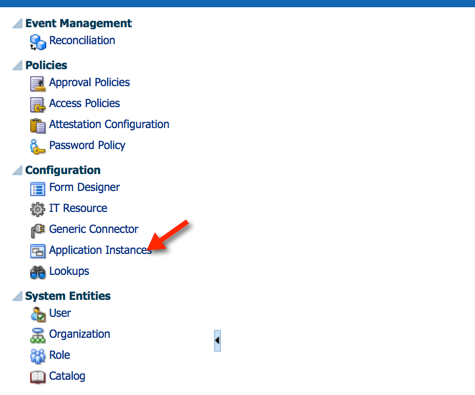 - Select "Provisioned" and click on "OK"
- Click on "Save" button as shown in the below screen shot. 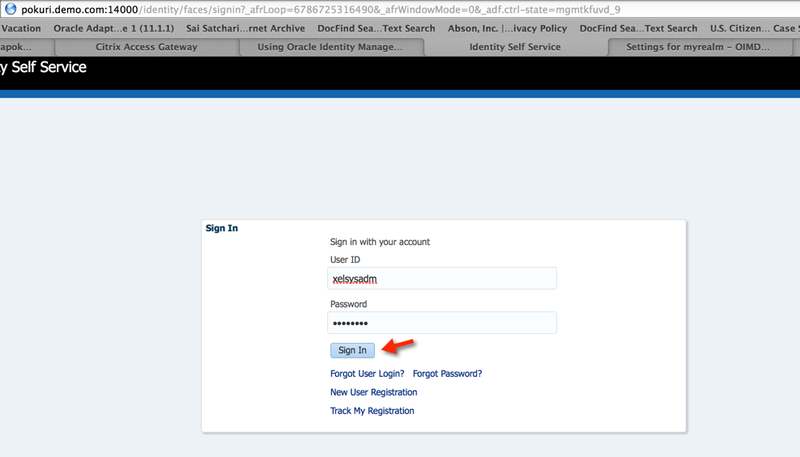 - Click on "Close" symbol as shown in the below screen shot. 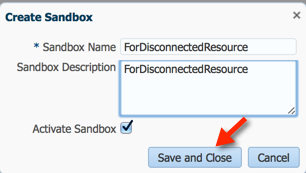 - Click "Save" button again at the "Process Definition"
- Click "Publish Sandbox" to activate the changes. 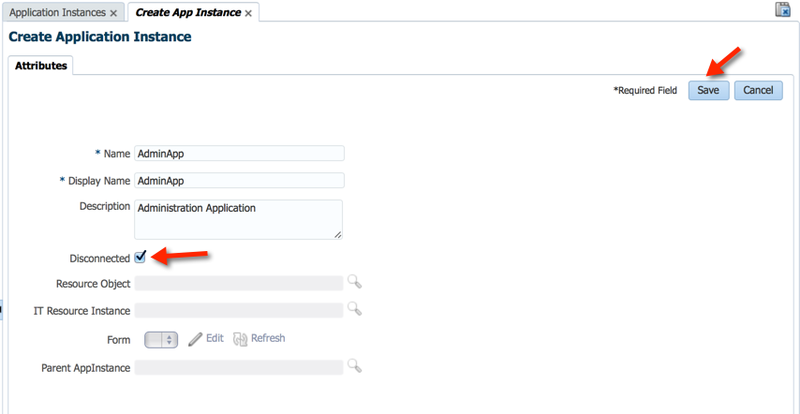 - Click "Yes" to complete publishing sandbox. 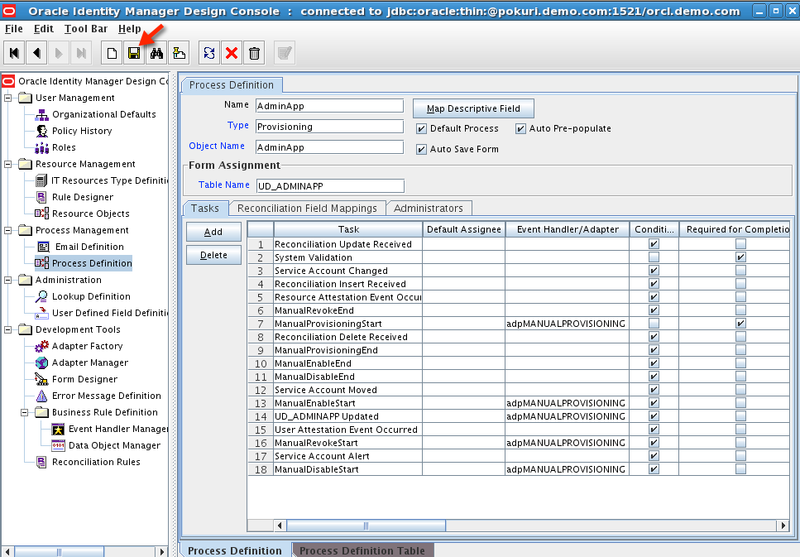 - Disconnected resource configuration is completed. 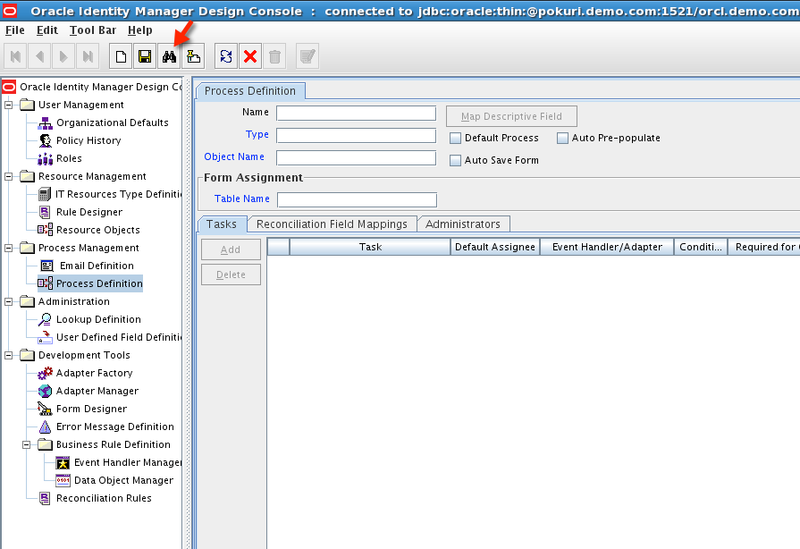 Now, Lets test it by provisioning user to that disconnected resource. 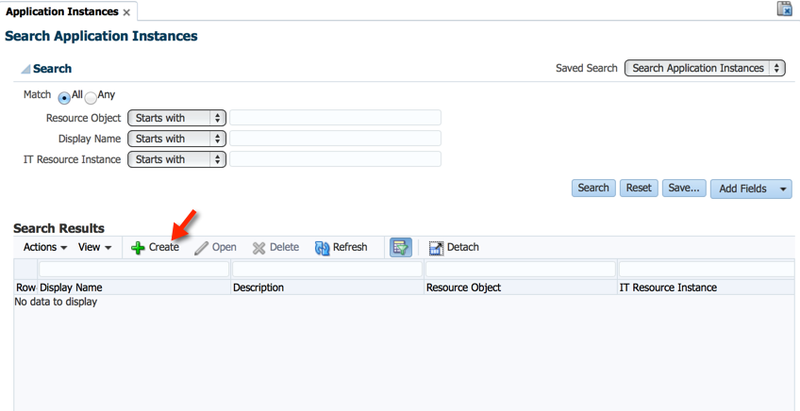 - Double Click on "Catalog"
- Click on the Search button as shown in the below screen shot. 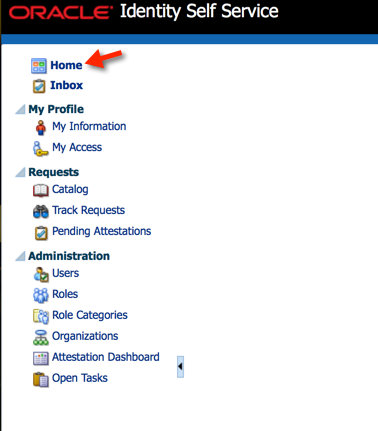 - Add the details as needed and click on "Ready to submit"
- Double Click on "Home"
- As it is disconnected resource, request will be sent to the concerned resource Inbox for fulfillment. 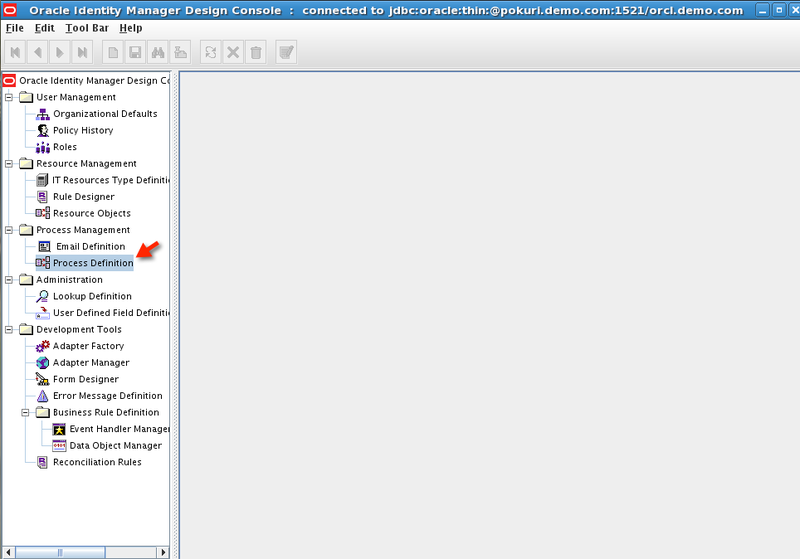 In this case i just have "XELSYSADM" and so request comes to "XELSSYADM" Inbox. 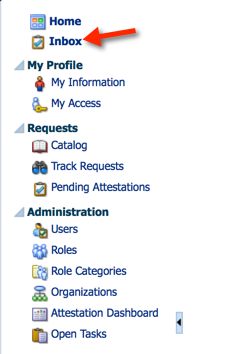 Click on "Inbox"
- Click on the "My Tasks" and see new task is waiting for "Complete" status. 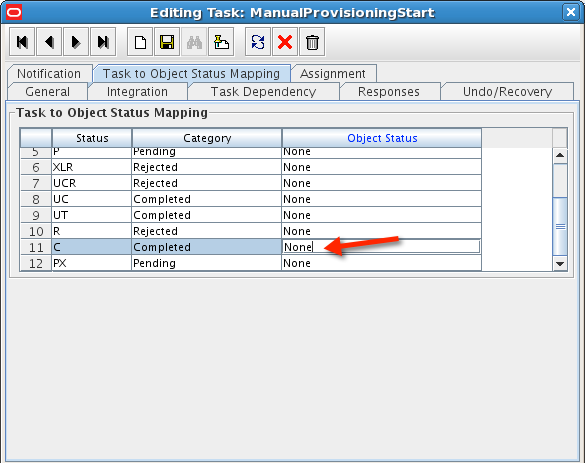 Once the Manual work is completed click on "Complete" button. 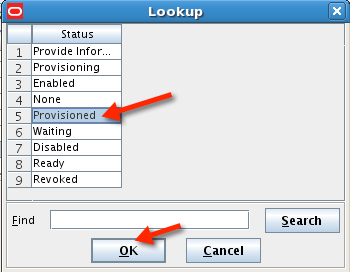 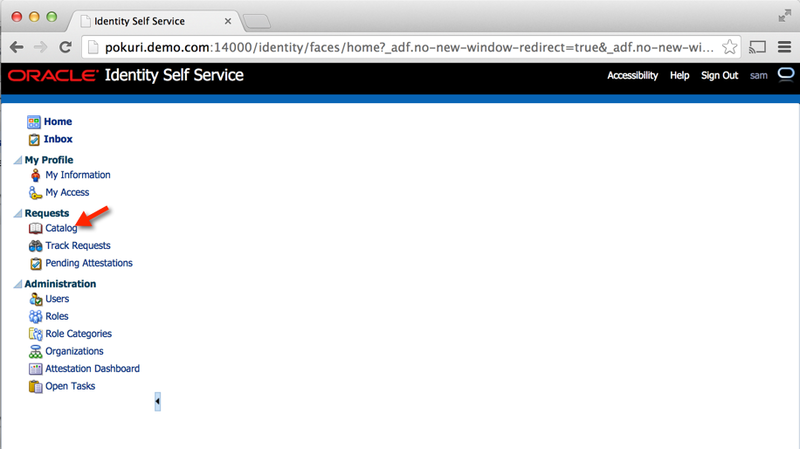 -- As shown in the below screen shot "AdminApp" is "Provisioned" successfully.